Over a period of 12 years, Boyhood follows Mason’s life - from his early childhood (age six) until he starts college. As we watch his story, we also discover the girlhood of his sister, Samantha (Lorelei Linklater), the motherhood of his mother (Patricia Arquette) and the fatherhood of his father (Ethan Hawke). Join The 500 Days Of Film Club - Click Here! 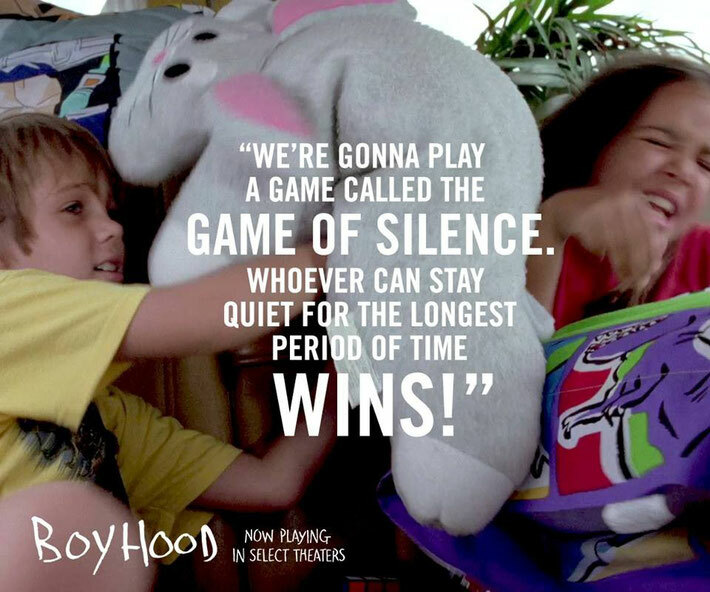 Boyhood is a remarkable film in so many ways - it could have become a victim of its own innovation. Filmed using the same actors over 12 years, this movie - no matter how worthy - could have been labelled a gimmick. I know that, at the start, I was fascinated by the creation of the film - the plot felt rather secondary. However, as soon as Boyhood begins, its mechanics become the least interesting aspect of the movie - so powerful is director, Richard Linklater’s, story about childhood. Linklater certainly doesn’t draw attention to his achievement. There are no demarcations telling you that a year has passed. You only notice time by development - as the actor's mature and their stories progress. By then, you are utterly gripped by the lives of each of the film's characters. It is not that you no longer notice the passage of time (it is remarkable to see these actors age before our eyes - must be quite a tough watch for them), it is that you accept the device for what it is - just part of the compelling story. As with all of his films (and I am particularly thinking of his Before Trilogy here), Linklater inspires wonderful and authentic performances from all of his actors. Conversations feel spontaneous, despite being scripted. Events feel natural - despite being meticulously planned. Ellar Coltrane is brilliant as Mason and Linklater’s own daughter Lorelei is superb as Samantha. Both characters bring such a true sense of childhood to the film - of sibling rivalry and squabbling, of the fear of fitting in, of desperately wanting the attention of parents while also exerting a growing need for independence. All of this is told in small moments that, nonetheless, feel so important and so relatable. I loved the part when Samantha and Mason argue on a long car journey, for example. 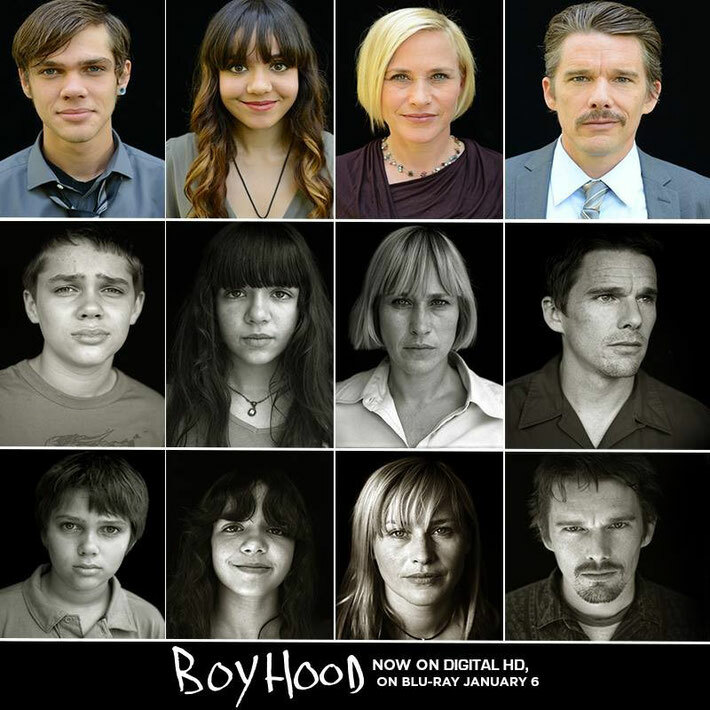 I found that I cared deeply about all of Boyhood’s characters from very early on in the film. I worried for them - particularly during a car journey when a character was not paying attention to the road. In a lesser movie, something dreadful could have happened. However, Linklater would never play with his audience in that way. Indeed, you could argue that, on paper, not a lot actually occurs in Boyhood. However, over the course of the film so much happens - life happens. I really believe that you take from a film what you bring. As a result, I was always going to identify with the parents in Boyhood - and the mother in particular. Her journey is both dramatic as she moves from one bad news boyfriend to another and heartbreaking as she realises that life is cruel and fleeting. Arquette is phenomenal in this role - and so deserving of her Oscar win. Her character transforms over the 12 years from being a downtrodden single mother to becoming a respected and successful career women. Meanwhile, Ethan Hawke plays Samantha and Mason’s estranged father. He wants to be the cool dad, the fun one. However, at the start he is also an unreliable dreamer. Along with the kids, I found myself wishing that he would get back together with their mum - but life isn’t like that and Boyhood is too honest a film to resort to easy answers. As the film progresses, Hawke’s character grows up and start to accept more responsibility. Linklater handles this progression so well and, once again, allows his star (his muse?) to shine. Boyhood, by the very nature of its narrative, is not a short film. It is 162 minutes long and I was aware of every minute. This is not to suggest that Boyhood is overlong. Far from it. No, Boyhood feels epic and never outstays its welcome. This is an extraordinary piece of cinema with remarkable and powerful performances. 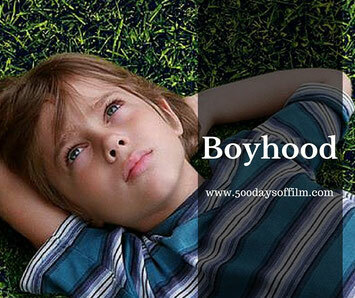 But more than that, Boyhood is a fascinating and extremely moving look at childhood. I loved this film so much I didn’t want it to end. Yes I did cry... but in a good way! But the trailer even does that to me - sentimental fool that I am! Richard Linklater has described the idea behind Boyhood as fun and mechanics behind the film as being crazy! Linklater only wanted 10-15 minutes of footage per year, which translated into an annual three day film shoot. In the meantime, he would ask his actors to note down any interesting conversations over the year - he wanted his script to feel real and for his cast to collaborate with him in its development. Mason is just so gorgeous as a six year old… it is amazing to see him grow. It maybe just me but I thought he ended up looking a lot like Ethan Hawke by the end. I loved the film’s use of technology to signpost the passage of time. Have you seen Boyhood? If you have, what did you think about this film?